To commemorate the 140th anniversary of the founding of Newton Heath LYR Football Club – a team with humble beginnings who would go on to become not only one of the most successful British football clubs, but one of the most recognised football clubs worldwide – Manchester United and adidas Originals have teamed up to release their fourth collaborative shoe, the ‘Newton Heath’. 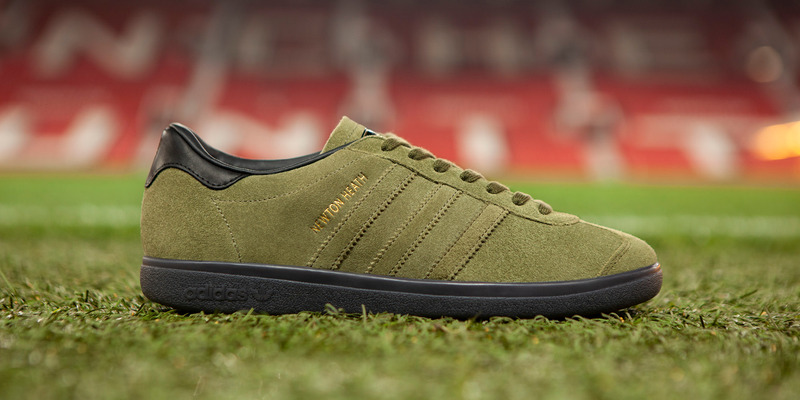 The Red Devils (or the Railwaymen as they used to be known) unveil the adidas Originals Newton Heath. An entirely new silhouette inspired by the club’s heritage as a football team for the workers of the Lancashire and Yorkshire Railway Company’s Carriage and Wagon department. Included within the design of the shoe are several more nods towards the club, firstly with the name itself relating back to club’s birthplace in North-East Manchester. The colourway takes inspiration from the club’s original green and gold football kit, which also had a short stint in the 1990s used as one of United’s most extravagant away kits, complete with traditional gold foil lettering bearing the new moniker. Newton Heath LYR F.C’s first home was located at North Road, Manchester, this would be the stadium to host all their home games since the club’s formation in 1878 up until 1893. So, to commemorate both the ground and the 140th anniversary, the insole of each shoe features a screen printed map of the club’s old ground and “EST 1878” has also been debossed onto the heel. 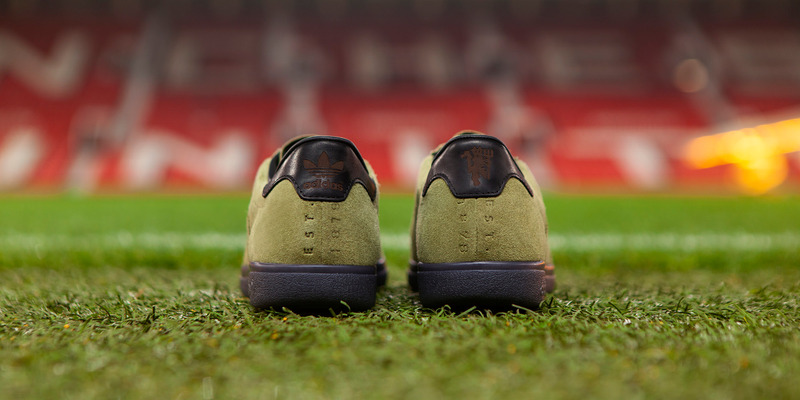 Additional details applied to the shoe include custom ‘Newton Heath’ tipped laces, and a laser engraved Devil on the heel of the right foot – an emblem which has been used by the club since the late ’60s. Underfoot, the premium pair sits atop a semi-translucent black gum rubber outsole. The adidas Originals Newton Heath will be exclusively available from our Manchester store on Friday 7th December, priced at £90. Please keep an eye on our social channels for further information this week.